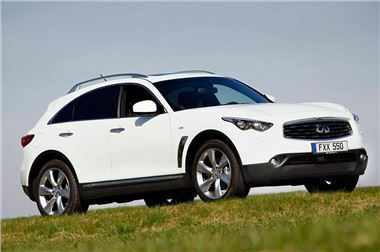 Infiniti - set to become a household name? Infiniti has announced ambitious plans to take it from being a low-profile, low volume manufacturer, to a mainstream luxury brand that's thought od in the same vein as BMW, Audi and Mercedes-Benz. The company expects to increase is dealer network from the current four – Birmingham, Glasgow, London and Reading – to more than 40 by 2016. Two further showrooms will open in Leeds and Stockport this year. Infiniti's line-up will gain more depth, too, with the availablility of Mercedes-Benz-sourced four-cylinder petrol and diesel models, at least one all-electric car and further hybrids to join the recently-launched M35h. The firm estimates that by 2016 it will sell more than 20,000 cars per year. Latest figures from the Society of Motor Manufacturers and Traders (SMMT) show that by the end of July Infiniti had registered 189 cars in 2011.